Maintaining your organization's tax-exempt status under Section 501(c)(3) of the U.S. Internal Revenue Code often requires detailed annual reporting and extensive accounting. 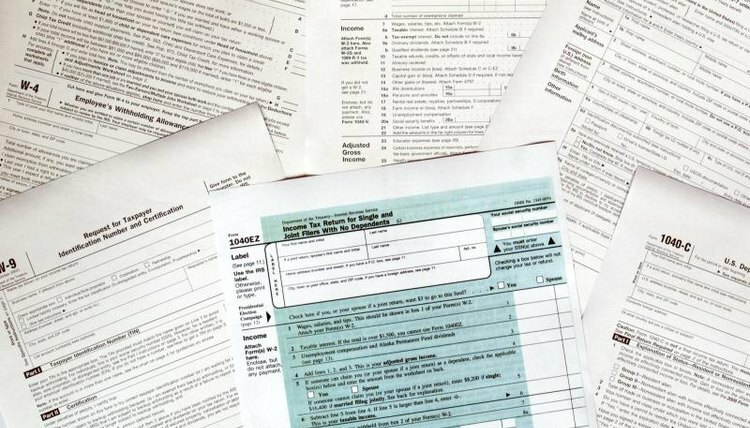 But, terminating a 501(c)(3)’s tax-exempt status is as straightforward as checking the appropriate box on its annual IRS return and filing a concluding schedule. Only organizations formed for a public purpose, such as educational, charitable or religious benefit, may qualify for 501(c)(3) tax-exempt status. To apply, the organization files IRS Form 1023, Application for Recognition of Exemption. To maintain the status, it also files an annual IRS Form 990, Return of Organization Exempt From Income Tax. Information reported on Form 1023 establishes the public purpose of the organization, while information gathered on Form 990 ensures the organization continues to operate for that public benefit. Qualifying for 501(c)(3) status has many benefits for a charitable organization. It exempts the organization's income from federal income taxes. It also allows those who donate to the organization to deduct their donation amounts when calculating their federal taxes. Official 501(c)(3) status also assures donors that the organization has met and continues to meet the strict IRS 501(c)(3) requirements. Just as you file IRS Form 990 every year to maintain the 501(c)(3) tax-exempt status of your organization, you can also use it to report the end of that status. Form 990 is available in four formats: the standard full Form 990, Form 990-N (e-postcard), Form 990-EZ, and Form 990-PF (Private Foundations). To show that you are filing a final return and end the 501(c)(3) status of your organization, check the “Final Return/Terminated” box in the header of Form 990 and Form 990-EZ, check the “Final Return” box in the header of Form 990-PF, or click the “Yes” box next to the question, “Has your organization terminated or gone out of business?” on online Form 990-N. The last step in closing your organization’s 501(c)(3) books with the IRS is filing a Schedule N, Liquidation, Termination, Dissolution, or Significant Disposition of Assets, form. This form describes the distribution of the organization's remaining assets and reports whether any of its employees are involved in organizations that received those assets. You must attach certified copies of the state documents dissolving your organization or merging it into another. Acceptance by the IRS of a final Schedule N ends your organization’s filing requirements under 501(c)(3). Parker, John. "How to Dissolve a 501C3 With the IRS." , https://legalbeagle.com/5669000-dissolve-501c3-irs.html. Accessed 19 April 2019.